Zack Cozart’s huge 2017 season would seem like the perfect platform year as he enters free agency, though the veteran shortstop faces a complicated market and some inevitable questions about whether he can duplicate his breakout year. Defense has long been Cozart’s calling card. Since debuting in 2011, he ranks seventh in UZR/150 (+10.6) and 14th in Defensive Runs Saved (56) among all players in baseball with at least 6000 innings played. Among just shortstops in that same timeframe, Cozart is behind only the incomparable Andrelton Simmons in both categories and also behind Brandon Crawford in DRS. Cozart would provide a massive boost to any club looking to improve its run prevention. Heading into last season, however, Cozart still hadn’t been able to move beyond his reputation as a glove-only player. He posted roughly average run-production numbers in 2015-16, though injuries and a major second-half fade in 2016 left doubts as to whether he could truly put it together at the plate. Those questions were answered in rather stunning fashion, as Cozart emerged as not just a solid bat, but one of baseball’s best overall hitters in 2017. The numbers are startling — a .297/.385/.548 slash line over 507 PA, 24 homers, 80 runs scored, and almost as many walks (62) as strikeouts (78). Cozart’s 141 OPS+ was topped by just 15 players in the entire league, with an overall 5.0 fWAR surpassed by only 16 players. In fact, Cozart also has the highest 2017 fWAR total of the entire 2017-18 free agent class, counting both hitters and pitchers. Cozart was no creation of the hitter-friendly Great American Ballpark, as he hit well both at home (.958 OPS) and on the road (.900 OPS). He also displayed a nice balance against all pitchers, crushing lefties to the tune of a 1.059 OPS while also hitting right-handed pitching hard (.896 OPS). While he set new career bests in virtually every offensive category, most of Cozart’s advanced metrics are not too far removed from his normal career rates. His homer rate did spike, and his swinging-strike and overall swing rates both dropped significantly from his career norms. This increased plate discipline bodes well for Cozart’s ability to continue an above-average level of hitting, even if he may not again reach the peak of his 2017 production. While he still outperformed many hitters who received well more than 507 plate appearances, Cozart was again hampered by injuries, as quad injuries to both legs limited him to just 122 games. 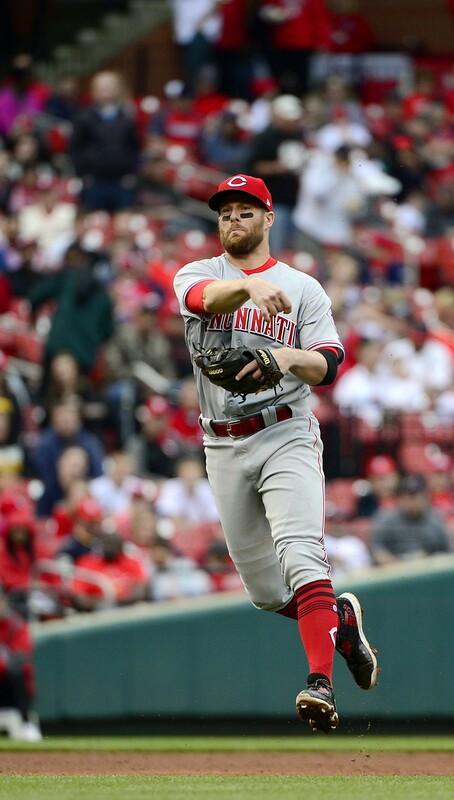 Between the quad problems, a torn knee ligament in 2015 and continued knee issues in 2016, Cozart has played in just 296 of the Reds’ 486 games over the last three seasons. This lack of durability and the fact that Cozart just turned 32 last August will give some teams pause before considering him for a pricey multi-year contract. It’s worth noting that last season was one of Cozart’s lesser defensive years, as he delivered “only” a +6.2 UZR/150 and +2 DRS. Obviously these are still fine numbers, though it could hint that the years of leg problems are beginning to impact Cozart’s glovework. It certainly seems like the injuries could be hurting Cozart on the basepaths, given that Fangraphs’ BsR metric has indicated subpar baserunning totals in each of the two seasons since his knee surgery. While Cozart would hardly be the first player to blossom later in his career, his continuing to be a top-15 hitter in 2018 would be even more of a surprise than his 2017 breakout. As per Statcast, Cozart’s expected weighted on-base average (.332) was well below his actual .399 wOBA thanks to his middling launch angle and exit velocity numbers — that 0.067 gap between the two categories was the second-largest of any player in baseball with at least 200 at-bats in 2017. In fairness, Cozart has specifically tailored his swing and plate approach to account for his general lack of hard contact, and to focus on a level swing rather than aiming to put the ball in the air. This makes him an interesting outlier among modern hitters, though his power surge may have less to do with swing changes than it does (as Fangraphs’ Dave Cameron recently observed) with the livelier baseballs reportedly used in MLB play over the last two years. If Cameron’s argument is correct, Cozart’s home run numbers could be in particular danger of regression if there are further alterations in how the balls are produced. Cozart said back in April that he’d actually been feeling more comfortable hitting over two years ago due to increased aggressiveness at the plate, so between that and a minor swing tweak from last Spring Training, above-average production could be a new normal for Cozart. Still, his 2017 numbers were so far beyond his career averages that some amount of regression seems inevitable. A native of Memphis, Tennessee, Cozart was a second-round pick for the Reds in the 2007 draft after three years of college ball at the University of Mississippi. His collegiate success earned him a spot on the United States’ gold medal-winning team in the 2006 World University Championship. As one of the few long-term veterans on the rebuilding Reds, Cozart earned the nickname of “Coach” for his leadership role within the young clubhouse. Cozart was named as the Reds’ recipient of the 2016 Heart & Hustle Award by the MLB Players Alumni Association. On a lighter note, the Cozart family welcomed a new pet into the fold this past summer, thanks to Joey Votto’s promise to buy his teammate a donkey if Cozart made the NL All-Star roster. While Cozart is far and away the top free agent shortstop available this winter, his biggest issue could be that the shortstop market itself isn’t very large. Most contenders or would-be contenders already have a shortstop in place, and several of the teams with a hole at the position (such as the Marlins or Padres) are in a rebuilding phase. This would seem to at least create the possibility that Cozart remains in Cincinnati. The two sides shared some interest in working out a contract extension last summer, and while it would be somewhat unusual to see Cozart become a long-term piece for the club after two years of trade rumors, the Reds may have changed course after seeing him emerge as a hitter. The Reds could decide to go with Cozart and Scooter Gennett (another breakout player in 2017) in the middle infield, leaving Jose Peraza and Dilson Herrera for backup or utility roles, or the team could shop one of those young and controllable talents for some much-needed pitching help. Looking at other possible suitors, there are a lot of “maybe, if…” situations that could see a team make a play for Cozart. The Orioles or Royals could be fits if they aren’t respectively sold on Tim Beckham or Raul Mondesi Jr. as everyday shortstops (and if Kansas City doesn’t enter a rebuild itself). The Pirates or Rays would need to carve out payroll space, or the Cardinals could get into the mix if they sold high on Paul DeJong in another trade. Perhaps the easier path to locating Cozart’s next team is to look for openings at second or third base. This could require a change of heart from Cozart, as he reportedly “feels strongly” about sticking at his usual position, though he might have no choice but to become more flexible given the lack of shortstop vacancies. Cozart’s reps at Excel Sports Management could pitch their client both as a regular starter at one position, or as an everyday contributor that could get 600 PA while receiving a couple of starts per week at shortstop, second and third. The Angels have already considered Cozart as a second baseman, and a position switch could also get teams like the Mets, Giants, Blue Jays, or Braves interested. One plus for Cozart’s market is that the Reds declined to issue him a qualifying offer, so another team can sign him without having to surrender any draft pick compensation. MLBTR predicts Cozart will find a three-year, $42MM deal this winter, though this could be a pretty fluid projection depending on whether or not Cozart is open to a position change. While Cozart’s age could be an obstacle in finding a fourth guaranteed year, you’d think multiple teams would love to find space for a player coming off a five-win season somewhere around the infield, maybe even to the point of making room at shortstop. Signing players to multi year deals coming off seasons they’re unlikely to consistently repeat is literally what free agency is. As for moving him to a new position, you’re talking about the team that put Freeman at 3B and Gattis in left field. I’m one of the biggest “we’re really gonna use fielding percentage to eval someone?” guys on this site, but when Riley’s career fielding percentage is so skewed in one direction, it shows he likely isn’t going to be an MLB 3B anyways. Come to Toronto. Someone who is the backup to Tulo and Travis plays 120+ games a year. He’s not going somewhere with entrenched starters. He’d stay in Cincy before he goes to Toronto. Backup to Tulo and Travis?? Have Tulo and Travis backup Cozart. Tulo and Travis are not guys that you want starting every game anyways, due to their injury history. Both should be capped at about 130 games. Heck put Travis in LF for a few games if need be. Cozart is the guy that will balance out the Jays lineup. He could be the steal of the offseason. On a larger note, what happens if there’s a continued glut of amazing shortstops? Will their markets dwindle. For example, Carlos Correa will be a free agent in 4 years. I wonder if the Astros might pass on a Trout like extension and just replace him with the next SS. You’re acting like shortstops just grow on trees; this just happens to be a good time for young shortstops, and it’s not like every team will have a stud shortstop playing for them in the near future. It happened a while ago when Jeter, Nomar, etc. were coming up, and it’ll probably happen again in the future. But it’s probably more of a phase than anything. Getting to play 2B next to Andrelton Simmons could be a nice draw. Lord knows the Angels could use him. That’s exactly what I’d like to see. 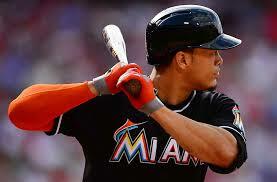 Let him DH instead of play 2B the day before every off day, helping both him and Pujols stay healthy. Even if Cozart slips with the bat, his superior defense would go so well up the middle with Simmons, Trout, and Perez that the pitching staff will all get better results. Then sign Carlos Santana to play 1B — but that’s a whole other rant…. Ah yes. Brain fart. Thanks and apologies. Point stands, though. Two gold gloves + Trout is a great up-the=middle to saddle up to. I hear ya — and that’s why I mentioned him at the end of my first comment. Adding Cozart and Santana would be a coup for this team, and I think it’s doable considering its self-imposed financial restraints. I think I’d rather see Nunez or Walker in Anaheim. Screw it, how about both? More likely that Gyorko gets traded and DeJong slides to 3rd than Dejong gets traded. This. Pretty sure DeJong goes nowhere…. Being a quality infielder starts with having good footwork. If you have the skill set to play SS at a high level, 3B will be a easy adjustment to make. I understand people’s arguments about paying someone a large amount to play a new position but Cozart will have the entire spring training to make the transition and that is ample time. At three years $42 million the Mets should get involved. I’d even bring him on board at SS (at least year 1, being clear that if his defense slips he will be moved to different position), and put Rosario at either 3b or 2b, with Cabrera handling the other. Either way gives the Mets a couple of strong infield defenders, and Rosario can cover SS when Cozart is hurt or needs a day off. I’d like to see Cozart end up either with San Diego, or in Boston. The Sox should trade Xander for other pieces anyway (Stanton? Pitching?) and Cozart would be a solid get. I think he’s going to be undervalued in much the same way that Justin Turner was. Cozart has always been great with the glove, and great at getting on base. I think he can move forward with 15-20 homer power depending on the park. Jays should get this guy and trade Kendrys to a younger team like Tampa. Have Cozart start at 2B and SS, give Travis some LF/DH ABs, Tulo DH ABs. Jays badly need another solid bat to go with Donaldson.